"May I place you on hold?" Even if you're lucky enough to speak with a human being, chances are you are such a low priority that you'll be trapped in a muzak scored death loop. 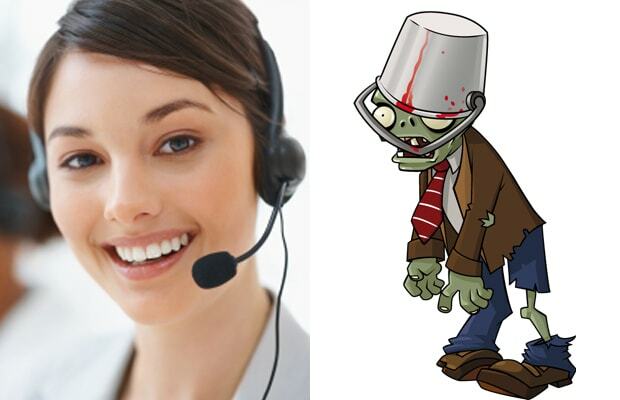 The buckethead zombie is provided some small measure of protective armor thanks to his head piece, but like the customer service rep, and your spot in queue, he probably just forgot it was there in the first place.